Game announcements—game announcements never change. After years of leaks, elaborate hoaxes, the most fervent internet pining this side of Half-Life 3, and yesterday’s requisite 24-hour countdown clock, Bethesda has unveiled Fallout 4. The post-apocalyptic sequel is in development for PC, Xbox One, and PlayStation 4 at Bethesda Game Studios, and Todd Howard, who directed Fallout 3 and Skyrim, is once again at the helm. The publisher is holding off on any further details until its E3 press conference on June 14, but it did release a lengthy trailer that provides an exciting game to play while we wait: spot the Boston landmark! 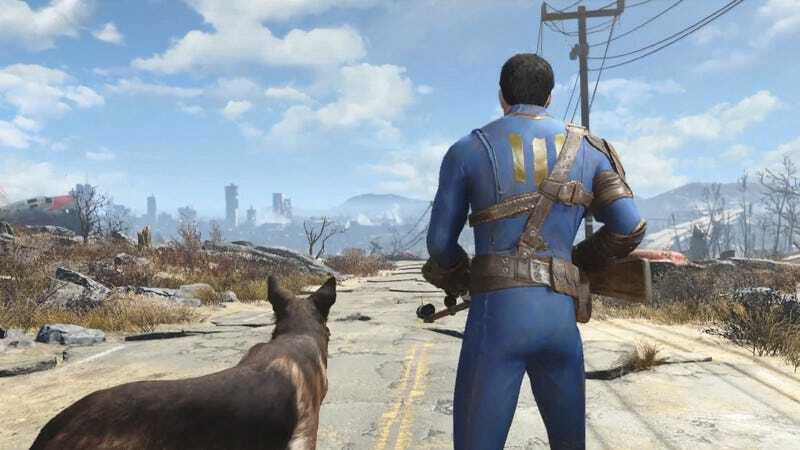 Yes, as had been rumored for years, Fallout 4 is—at least in part—set in a post-apocalyptic Boston. The debut footage gives a good look at the bombed-out Beantown Bethesda has created: There’s the Paul Revere statue, and oh, did you catch the Massachusetts State House? And just look at that souped-up USS Constitution!